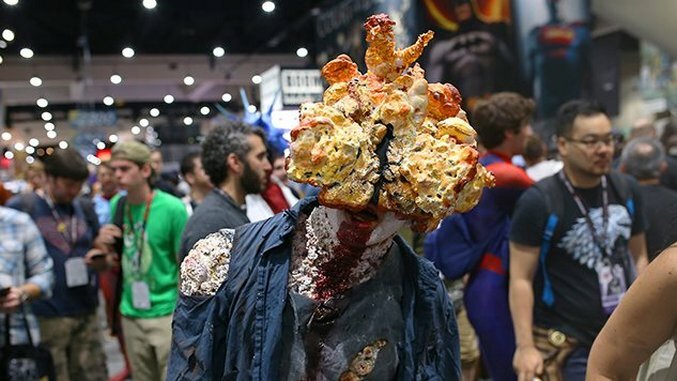 After yesterday’s parade of South Park footnotes, Overwatch avatars and interstellar non-compliants, the second day of San Diego Comic-Con offered some deeper cosplay cuts into genre culture. In the gallery above, see a version of Dr. Zaius that rivals Maurice Evans’ get-up from 1968, a member of the infected plucked right from The Last of Us and a fashion-forward twist on the Wicked Witch of the West. Check back tomorrow from more costume pageantry from the biggest pop culture celebration in the united states.